A short-term disability insurance plan pays a percentage of your income in case you are disabled and can’t work. The chance of a disability is real. Many industry sources state that the chance of disability is 1 in 4 working adults. Moreover, this probability is greater than unexpected death. While the need for disability insurance is always present, one must consider costs, especially with short-term disability insurance. 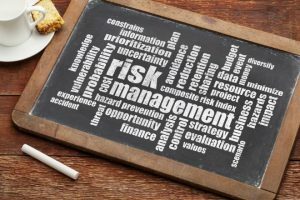 In this article we discuss the feasibility, costs, and benefits with a focus on short-term disability insurance costs. We also touch upon short-term disability insurance and pregnancy, with discussion around related costs. As a personal trainer, you meet with clients every day. You enjoy your job, helping your clients attain a healthy lifestyle and meet their goals. However, you absolutely need to protect yourself from a legal standpoint. Accidents happen. Clients unfortunately sue. The list goes on and on. Personal trainer insurance is incredibly important. However, there is one type of insurance that, after liability insurance, is equally important. I can guarantee you don’t have it. In this article, we discuss the most important personal trainer insurance you don’t have. We have said this before: disabilities do not discriminate. They affect the young, the old, the rich, the poor, the executive, and the construction laborer. The same for tattoo artists as well. You love your job, right? Have you ever thought, if the paycheck you just received was the last one for a year, what would you do? How would you pay your bills? Seriously? And, if you own your Tattoo business, what would happen to it? Honestly, if you went without income protection, you probably would have to close it down. In this article, we discuss disability insurance for tattoo artists. We first discuss disability insurance basics followed by the available disability insurance plans for tattoo artists. In my opinion, there is no disputing how important disability insurance is. All you need to do is look up on www.gofundme.com the pain people and families are experiencing. The solution to many of these situations, simply, would have been a comprehensive, affordable disability insurance policy. Their lives could have been so much better. If you need disability insurance, you need to know about disability insurance underwriting first. Lately, we have received phone calls from many people, interested in disability insurance, but unaware of how their background and health affects their chances of a policy. The internet has too many misunderstandings. In this article, we discuss the important aspects of disability insurance underwriting. We will inform, clarify, and set expectations. 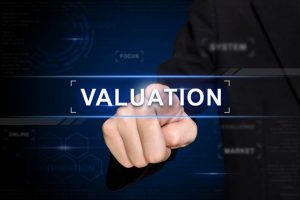 As a Real Estate Appraiser, valuation is your middle name. You enjoy the challenge of analyzing and reviewing real estate properties. Moreover, you particularly enjoy how unique your job is! No day is the same. You rely on your education and experience as well as your physical ability to get the job done. What if you could no longer do your job? Have you ever thought what would happen if you became sick, ill, injured, and disabled? How would you pay your bills if you could not work? Disability quickly affects your future plans and the lifestyle you worked so hard for. In this article, we discuss disability insurance and the best disability insurance for Real Estate Appraisers.